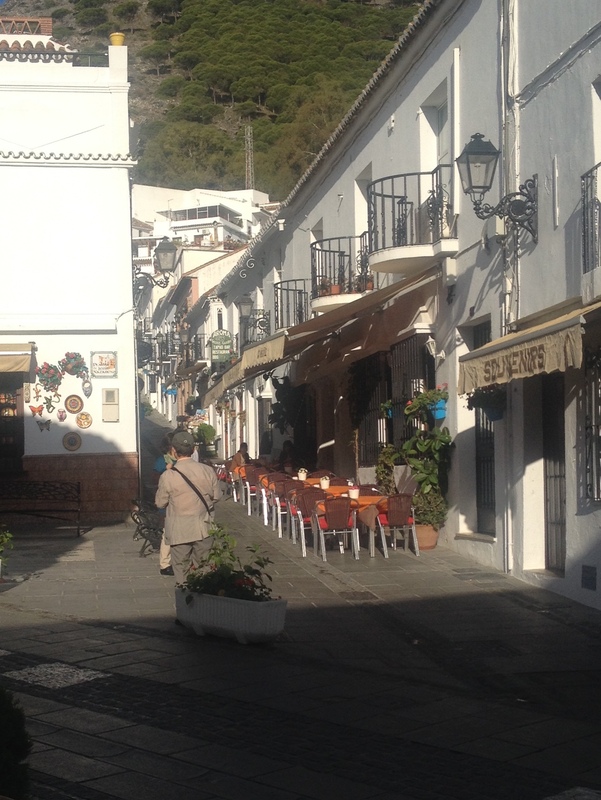 It is interesting that there seems to be a considerable population of the elderly in Mijas Pueblo. 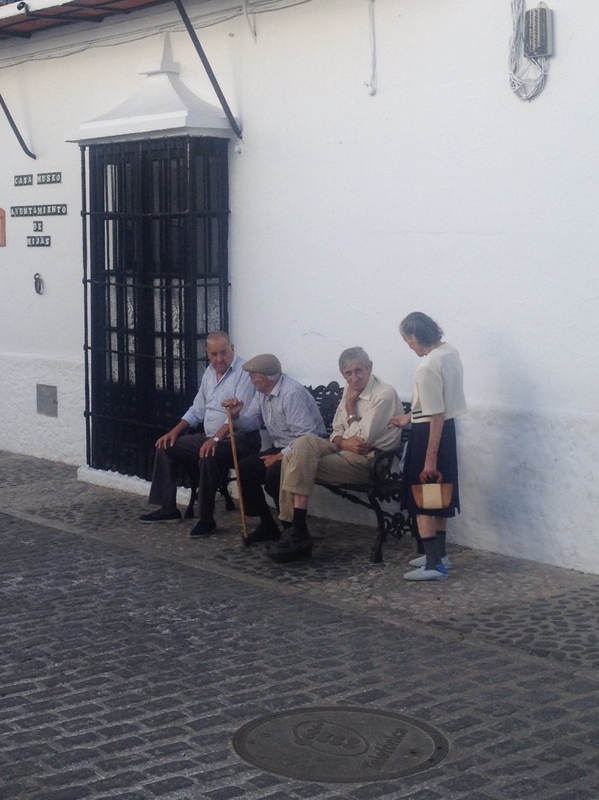 These older men and women who are native to the pueblo, rather than the vast numbers of expats and tourists, are certainly obvious in their appearance. I would estimate that at least 90% of the women wear dresses or skirts when out-and-about and 100% of the men wear long pants and many, hats. Many of the women, as well as men, walk with the assistance of canes. 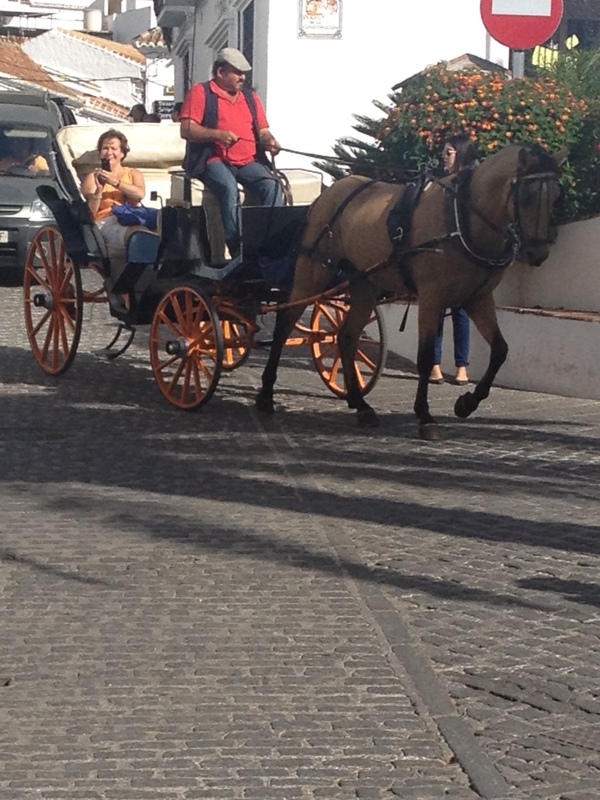 It is also encouraging to see many younger people helping their elders walk through the village. The steps of these older people are shorter than I take. I note that I think they take two for each of mine. Possibly this is a reflection of the hyper paced nature of the culture I am from verses the local one which is certainly more laid back. 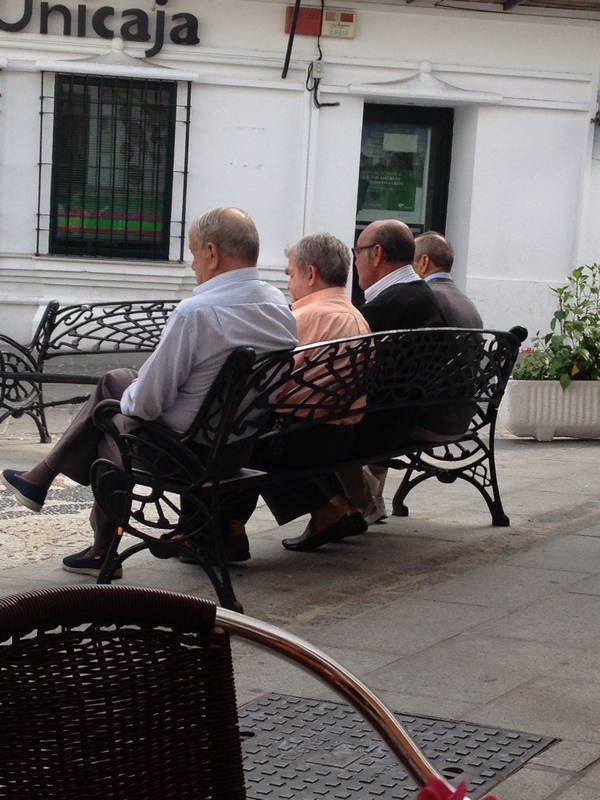 The older men have several benches in the community where they sit. I observed them a few days ago and it appears to me that their meeting is not just for their friendly banter with each other but also to watch and comment about the tourists! Maybe the expats too! 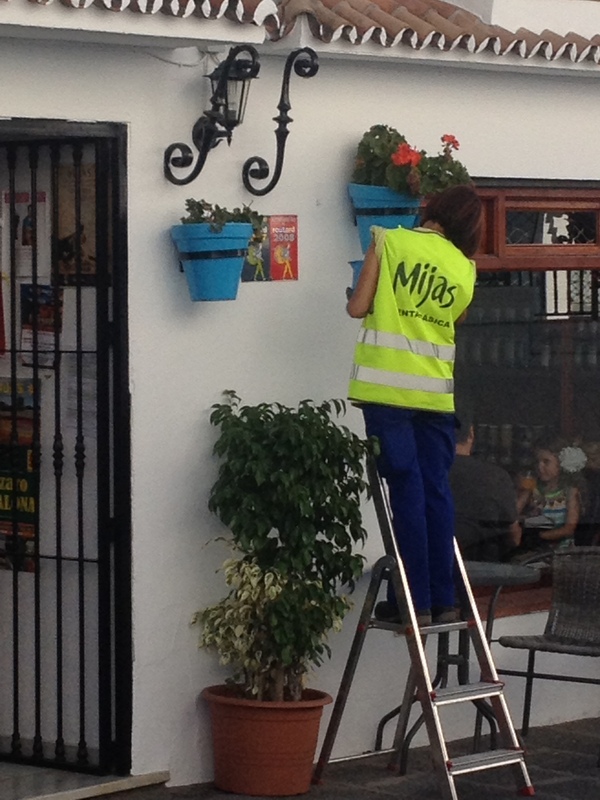 It is interesting isn’t it that the Mijas tourists are here to experience the life, history, culture and food in the pueblo and many community residents are out-and-about to observe them! 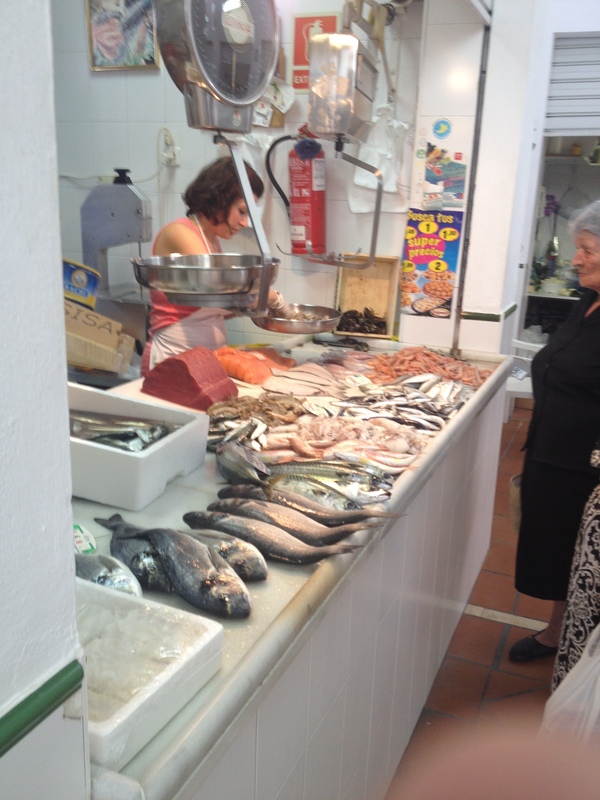 I think that there is an interesting relationship between the elderly in Mijas Pueblo, expat community and the tourists. One thing though is for certain, each is dependent on the other. Recognizing this the local government really does a great job keeping the pueblo beautiful and clean! For the most part, people are courteous of cleaning up after their pets. 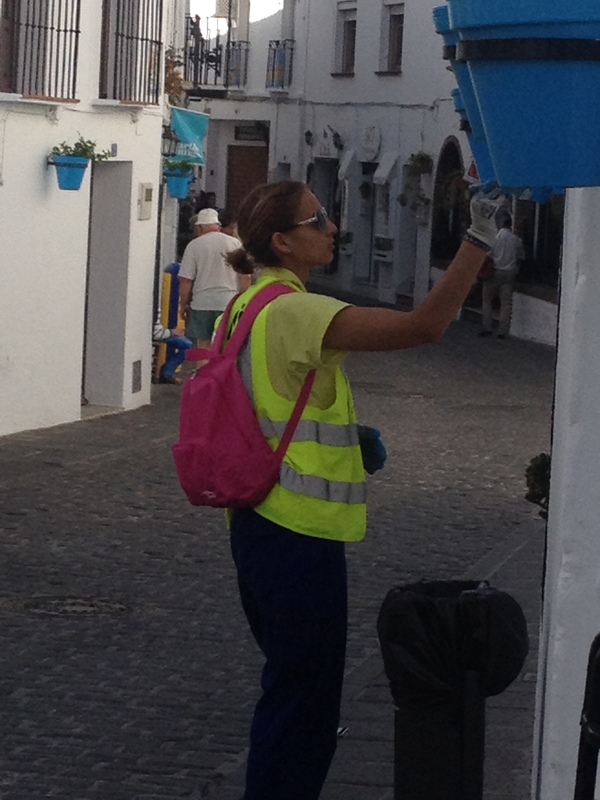 The village employs many people to sweep and clean the streets daily! 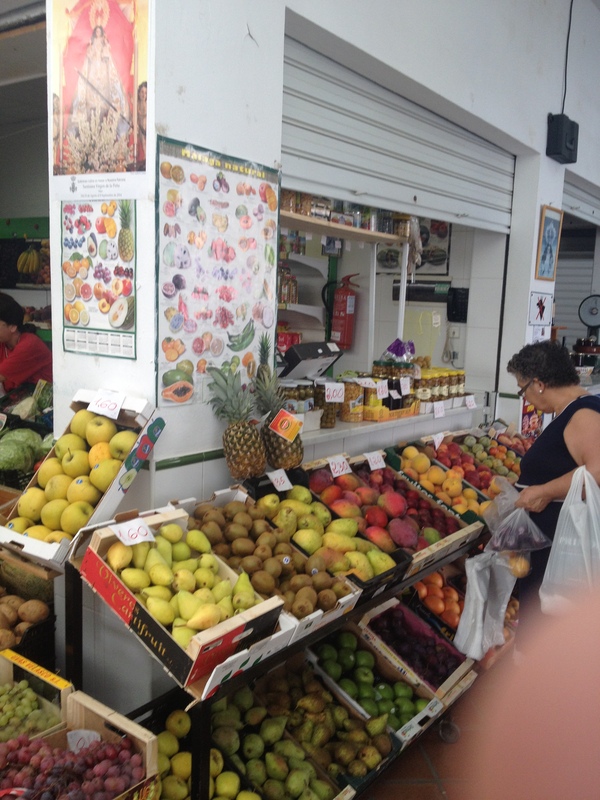 I have attached some photos of the experiences mentioned in this blog entry and others from the market in the village. I hope you enjoy them! 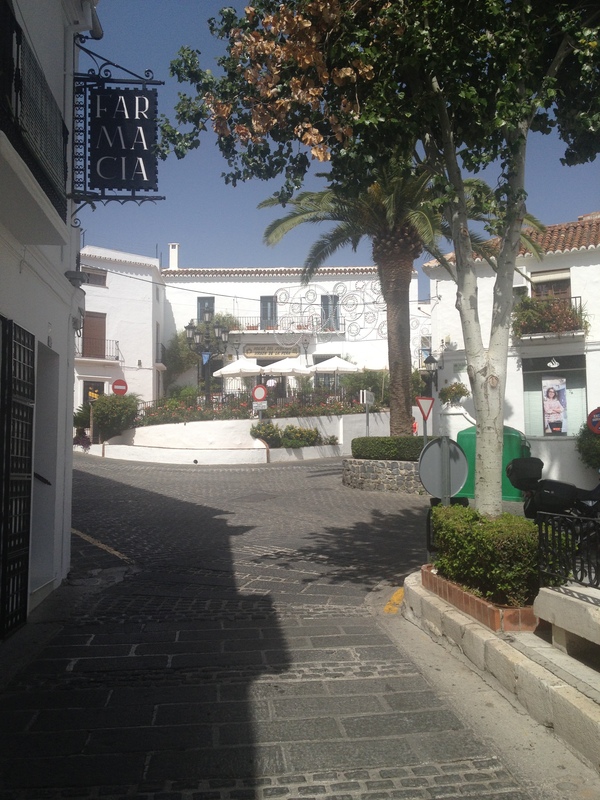 From my little corner of Spain, “Hasta luego!” Senora Cessarone would be proud! Barry, Makes for a fantastic read! Knew you were a good writer but this is very well done. Love the photography. Especially like the one with the wall decorations and plants…Keep it coming! 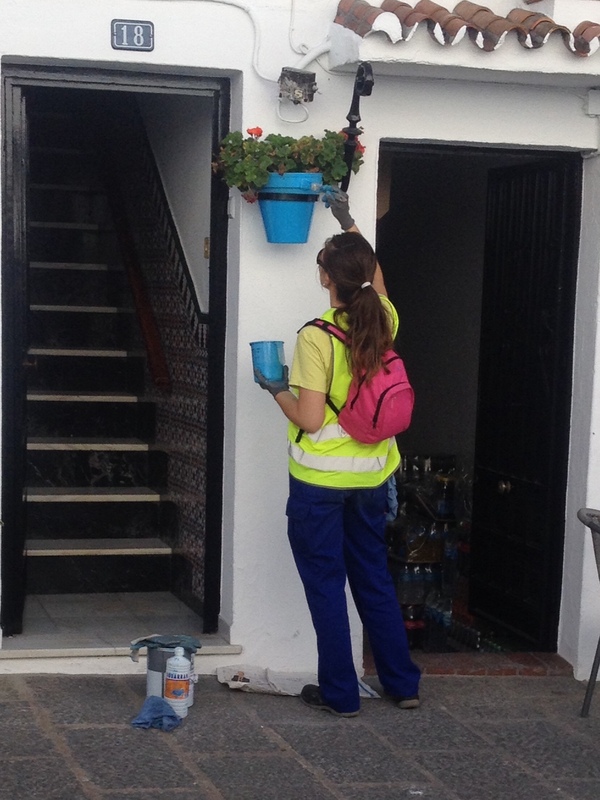 It would seem that though many years have passed, some things are the same … every morning, our landlady and neighbors would be out on the sidewalk equipped with brooms and buckets. No matter what their circumstances, cleanliness was indeed imperative. The folks were dressed in elder black and those same white dress shirts. Thanks for all your fresh eyes … I do not want to add anything before you mention them … I want you to have the joy of first vision! Enjoy, Barry!